The marvelous scenery at Japan’s third national park continues to capture the hearts of visitors. 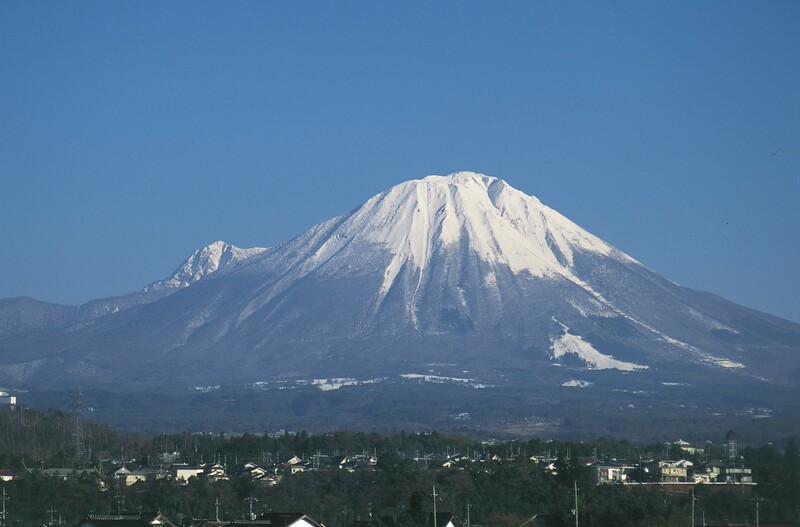 At an elevation of 1,709 metres, Mt Daisen’s peak, called Misen, is the highest in the Chuugoku region. Green from spring through summer, red in autumn, and covered with snow in winter, the area captivates through the seasons. 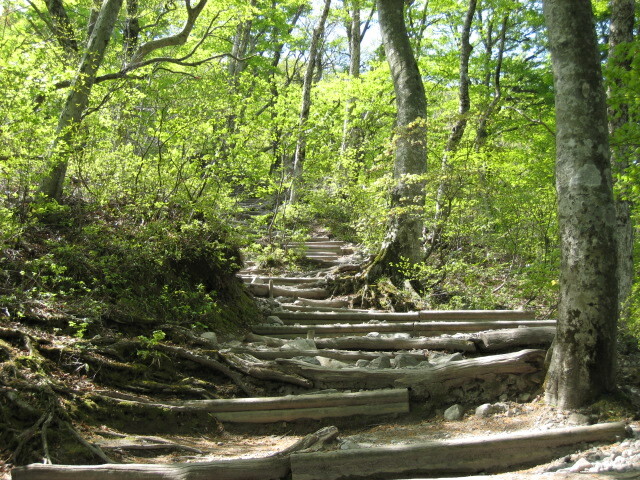 The area was hallowed ground for mountain Buddhism and was closed to visitors until the Meiji Restoration. It still contains much unspoiled landscape. Ever-popular for forest bathing and nature hikes, the mountain has long been an aspiration for climbers as well. Typically, an annual summer opening festival is held in the first week of June, heralding the arrival of serious climbers throughout summer. 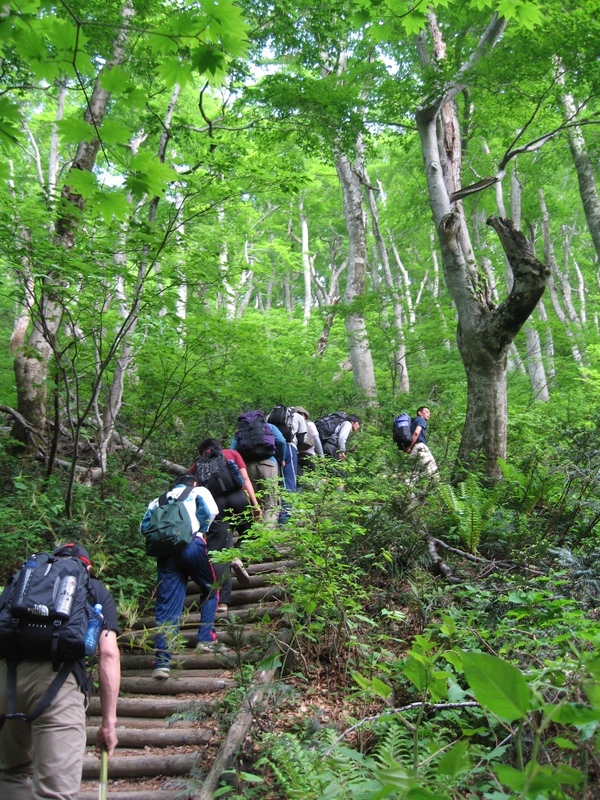 Between the calls of birds and the smell of greenery all around, a climb up Mt Daisen is a sense experience for the whole body. 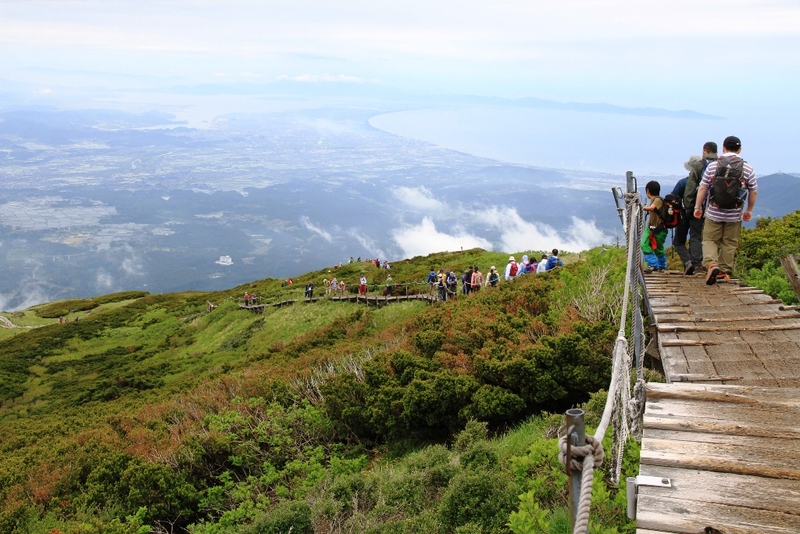 On a clear day, the Sea of Japan, Yumigahama Peninsula, and Nakaumi are visible, providing a sightseeing experience from a completely different perspective. If you find climbing too strenuous, easier trails and hiking and walking courses through the beech forest are another option. When seen from the Yonago (south) side, the gentle slopes of Daisen are reminiscent of those of Mt Fuji, earning it the nickname ‘Houki’s Fuji’. Seen from Daisen-cho is the mountain’s north face. Its characteristic folding-screen shaped rock surfaces are shaped by Japan’s most extensive lava dome, and the view from the west is unlike any other. 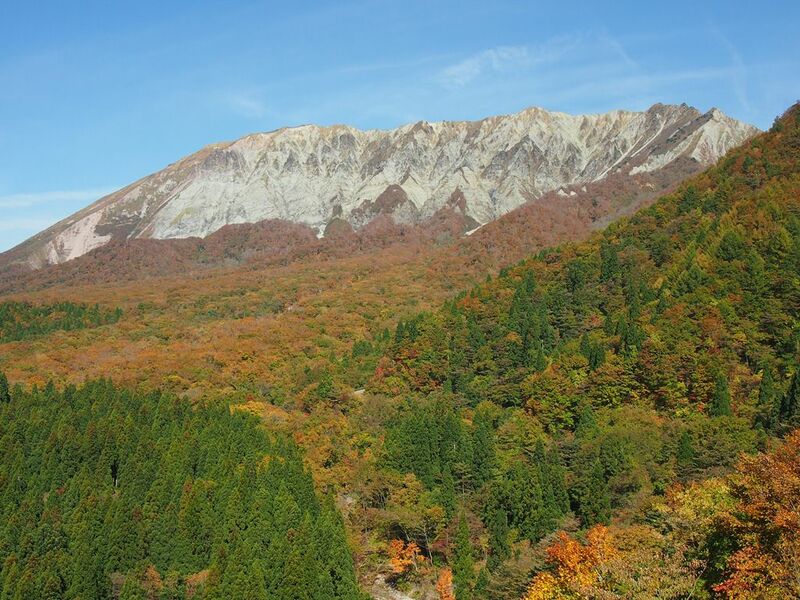 One can also take in a view of the mountain’s rougher sides, large patches of grass, gentle dips between the peaks, and Western Japan’s greatest beech forest. To take in the full range of Mt Daisen’s faces and glimmering green, a leisurely drive around the mountain comes highly recommended. With the great beech forest spreading out before the scenic roads and the dazzling green of spring and summer and the gold and red of autumn are a living work of art. The road ahead appears like a tunnel created by the surrounding trees, with glorious sunshine pouring through. Useful information for drivers, on roads, parking, restrooms, and vistas in the area! The spot to see autumn’s finest, as all the mountain is bathed in vivid colours. The Kagikake Pass is a popular spot to take photos. 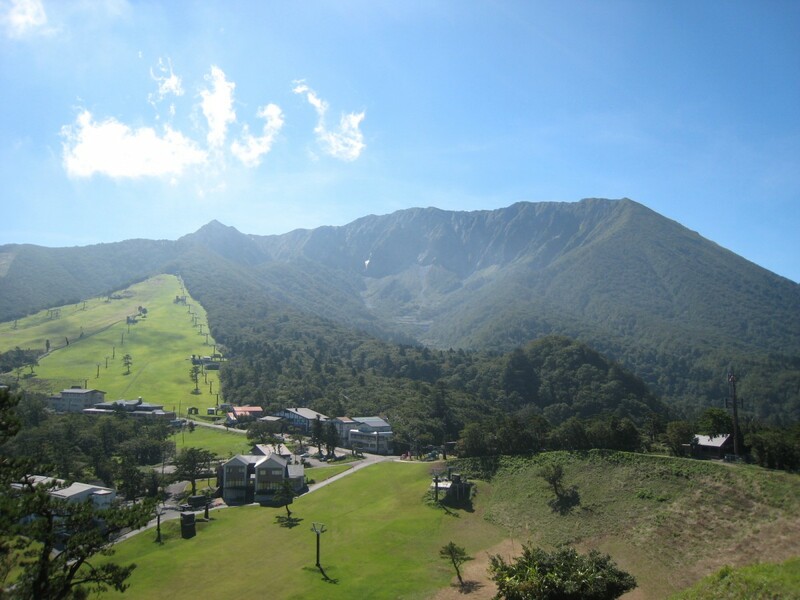 The area around Mt Daisen is home to a few ski resorts offering different features such as a clear view of the Sea of Japan, night services, etc., and a range of slopes from beginner to advanced, complete with lodging and dining. Daisen-ji is a Buddhist temple that once drew worshippers from all over the region. Its extant stone wall is still reminiscent of its halcyon years. The temple’s shrine to Amida, built in the Muromachi era, is designated Important Cultural Property. At the centre of Mt Daisen, revered in mountain-asceticism, is a 700-metre-long path made of natural stones leading to Ōgamiyama Shrine, one of Japan’s foremost gongen-style shrines. Inside the building you will be surrounded by some of the country’s loveliest sandalwood painted murals and sculptures. By car, toward Daisen-ji 15 min. from Yonago Expwy Yonago IC on Daisen Kanko Doro. By bus, 50 min. from Yonago Station, get off at Daisenji. By car toward Masumizu, 15 min. from Yonago Expwy Mizoguchi IC.